← Day 4 – Gingerbread Sleighs & Giant Men! 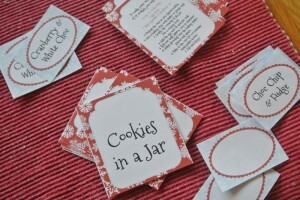 Jar labels and Swing Tags with full baking instructions for the lucky recipient. Click on the links then just print them off and cut them out! These are the extra ingredients needed to make up the cookies and the cooking directions – they’re on the printable swing tags, link above. Make yourself a paper funnel – fairly slim so it will fit down inside your jar. 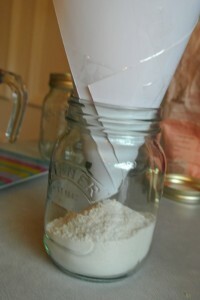 Using the funnel stops specks of flour and ingredients from clinging to the side of the jar and obscuring the layering effect. Down the funnel goes the flour, followed by the bicarbonate of soda and baking powder. Give the jar a gentle shake to level it off. 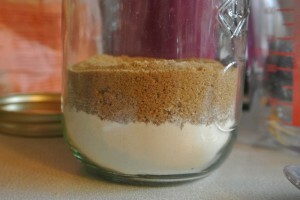 Next down the funnel is the soft light brown sugar. 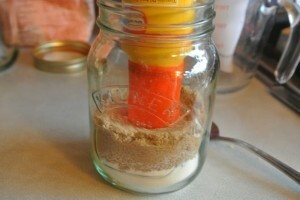 Concentrate on tamping down the edges where it meets the jar. Next is the choc chips, followed by the fudge chunks – try and encourage them to pile up around the edge of the jar with a slight well in the centre. Now its the turn of the oats, you may need to compact them down as you fill to get them all in. Beautiful – now on with the lid! You can make all sorts of versions just by changing the 50g choc chips and 50g fudge chunks to whatever you fancy – Michelle’s even done us a blank label to write your flavour on – M&M’s, Pecan and Sultana – what’s your favourite cookie? 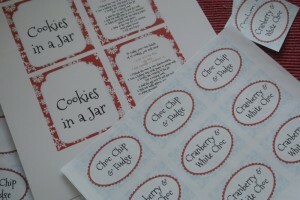 Print off the labels onto sticker paper and the swing tags onto card – they have full baking instructions on there. String up the tags with pretty Christmas ribbon and then dress up your jars! And if you were wondering what sort of cookies these make take a look at these beauties! This entry was posted in Biscuit, Biscuits, Children, Gifts, Treats, Twelve Days of Christmas. Bookmark the permalink. Thanks for posting this – such a lovely idea. They were very popular at our school Christmas fair! Love cookies in a jar what a wonderful gift! And so attractive in the glass. What s great idea..love it .. I made something like this for Christmas presents last year – people loved them. Fabulous – great for school craft fairs but now I’m thinking might make some as Xmas presents – shame I can’t really practically give one of my hen’s eggs with it! Great idea. cant wait to try. What a nice recipe, must try it! Fantastic, don’t they look pretty? Thanks very much for the swing tag and labels too. I saw similar layered jars of cookie mix in a posh deli and couldn’t believe it was £15 to make 12 cookies the same as this!! Another great gift idea Ruth. The labels are great. Notonthehighstreet.com here i come! Oh yum, these are great! Family xmas pressies sorted!! Wow! How many times do you see something in the shop and think “I could make that!” especially after you look at the price label. So much more rewarding to give the same gift made by your own fair hands! I love this idea! Such a fab gift – and the labels are wonderful too. This is definitely worth putting together for xmas pressies. what a fabulous idea – lovely !! It’s a lovely idea. I just wonder how many people would appreciate it as a gift. I guess that people who don’t normally bake might find it an easy way to start. I saw something similar at a Christmas Fayre at the weekend – costing £8.99! You could tie on a small wooden spoon round the neck of the jar as well. The swing tags and labels finish them off beautifully, thank you Ruth! 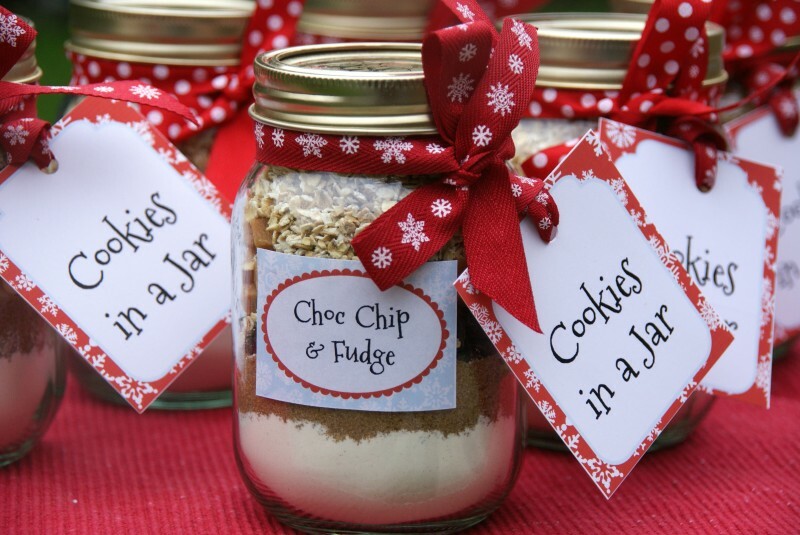 Ooh, very nice … Seriously thinking that a “cookies in a jar” gift may be just what I need to finish off a gift for a friend who is just starting to experiment with cooking/baking – even she could manage this!! I did this for a friend who insisted that she couldn’t cook a couple of years ago. She was so thrilled when she took her batch of cookies from the oven that she now bakes all the time! They look fantastic, I think they will make great pressies for kids & adults alike, brilliant, thanks! What a great idea. I love cookies! Just the type of present I would love to get. I will definitely be making a few of those to give as presents. I might even make one for myself! Lovely looking presents and useful too. perfect gift for my secret santa at work to add that extra touch , thanks. Thank you for the tip of making a funnel with paper. I need to try it! fab idea, they look great. if someone gave one to me as a gift, i would be over the moon. What a fiendishly clever idea! Love the tags and labels, they just make it. They look divine and I bet they taste it too! Fabulous idea for my foodie christmas gift list. so many things to make/bake and then gift. 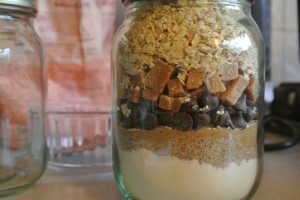 Looks delish even unbaked in the jar! These are a fab idea. The local gift shop near where I work sells something similar to these but not as pretty. They cost a fortune so thanks for a brilliant recipe idea x. Those cookies are fantastic – favourite with my work colleagues. Great Christmas present idea! These are such a wonderful idea and I can’t wait to show my friend them….Thanks, I just love your website! Oh going to steal that idea. Great. What a lovely idea looks fab! This would be a lovely present that is really unique to you. Very pretty – love the recipe and the labels! Think I’ll just make myself a batch! I’m sooo happy you have done this! I’ve been looking for a recipe like this for ages to do for my sister-in-law! Thank you! A wonderful idea. Similar to one that my grandchildren did for their teachers last Christmas. What a fab idea. Think I might make some of these for teacher presents. Just how many more brilliant ideas have you got Ruth?!! These are fab-u-lous! I will certainly be trying this! Such a lovely and unique gift, never seen anything like it before! These are a fab idea!! I would love this as a pressie and I know a few people who would love these too!! Will certainly be giving some of these out at christmas. A great idea, perfect for my sister whose not a great cook! 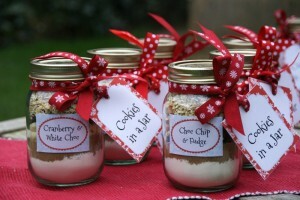 Gorgeous looking cookies and a useful jar to refill later. Great idea! An alternative to sweeties in a jar! These make a fab gift – made some last year with the kids & they gave them to their school friends! Perfect for Cookie Monsters everywhere! What a brilliant idea – I have bought my niece a baking set and will make her one of these to go along with it! wow,what a great idea,i will definately be making some of these for gifts. Such a fabulous idea that I most definitely will use! Such a big help, you truly are inspirational Ruth! What an absolutely fabulous idea. Now just got to decide who I could make these for other than myself. So creative, and so many different variations you could do. Oat and raisin for me, I think! Lovely, thanks, that’s teachers’ presents sorted! I’ve given these as gifts before, they are a great idea! Had thought about doing something like this and now have no excuse as you’ve made it all so easy especially with the lovely labels too! Thankyou! I had something similar last year from my brother & sister in law. 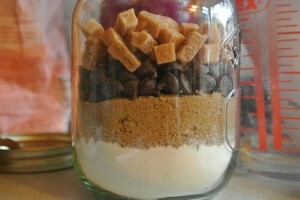 the recipe was slightly different but I still thought “what a FAB idea” & who doesn’t need a kilner jar? It’s DEF something I’m doing for my cooking buddies this year. Great Tags & ribbons. What a fab idea!! You are a clever old bean Ruth!! OOh love home made gifts, not only does it mean i get to make something, but it means I can give it away and make someone else happy and still fit in my jeans! Lovely idea as always. What a great idea, I’ll make my godson one of these when he’s old enough! These would make such lovely and thoughtful gifts. You have such fab baking ideas. lovely gift idea for kids to make! Think I might make these for the Xmas fair. Just lovely. I might make these for myself so when the mood takes me everything is already all weighed out! love it. my sons play school wouuld love this idea for their Christmas fund raiser. PS: Your “zingy lemon curd” went really well as a gift at the end of school year. What a brilliant idea, I’d love to receive one myself! Wow what a simple idea for a lovely gift. I’ve got loads of teachers and helpers to sort presents for, this looks like a great idea! The ideal gift for so many people. Really want to make these. look great! 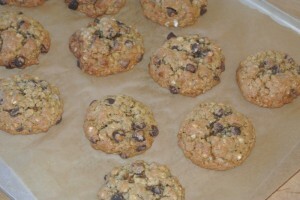 Love your recipe for the cookies – it sounds scrummy! Have done this sort of thing before but this recipe sounds better than the one I did! Thanks Ruth! These look lovely, wish I’d thought of using a funnel when I made these last year. Those labels are amazing and make these look likeprofessional gifts! What awesome timing! I am making something similar for a secret Santa present today! Absolutely brilliant – off to Ikea for some jars and teenage daughter wants to make some for school friends – love love love them – thank you !!! What a totally fabby idea! Wow these are fab – I am already sorted for gifts this year but will start saving large jars ready for next year!! What an amazing idea. Especially for people who’s kids like to cook. I’d definitely like one under my tree! Lovely idea – def be trying these! so want to make these!!!! These look fantastic and so professional too. Bet they work out far cheaper that the ready made ones that the shops sell! Brilliant – ideal pressie for my Sister this Christmas. these are lovely, made something similar for my sister last year and she loved them! The hamper is amazing too, hope I win!!!!! I love this idea!!! I always do a unique gift for my sister, I think this year it will be this one!!!! What a lovely idea for a present.We just finished of a recipe for life cook book and this is giving us ideas for next year ! Found some kilner jars stored in my Dad’s shed, so now have a good use for them. Chocolate chip and fudge!!!!!! I WANT SOME NOW! What a brilliant idea, I can feel a home made christmas coming on. What a clever and unique idea – will definately be putting these together! Thanks. Great gift for a 10 year old girl who loves cooking! lovely – but whne I give a gifts I’ll probably be roped in to help make them – with a few glasses of wine along the way so will be fun! They look gorgeous! Another fab idea! Off to make these for my little neice’s, they love to Bake, so I’ll do a different one for each of them…. think I may do one for the Secret Santa at work.. They remind me of those glass ornaments you get on the Isle of Wight with all the different colours of sand in them. These look great. Perfect gift for my sister and mother in law. I never know what to get them! Intrigued by the idea of oil in the recipe-does this work as well as butter? Wonder if I can make cookie mix art like those sand art things when I was a kid?!! Beautiful gift to give someone. Those would be a lovely gift. Absolutely gorgeous! 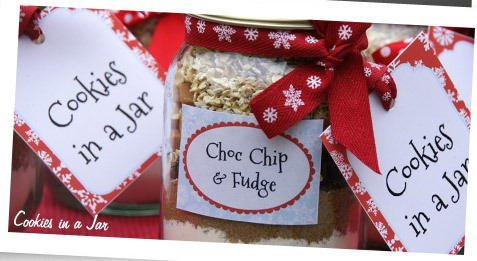 I know so many keen bakers who would love these jars for Christmas. I so know some one who would love this idea. These would make such good presents … thinking about this for xmas pressies !!! Think my greedy lot would rather skip this stage and go straight to the finished cookies! What a super idea. Lots of variations would work. Seeds for me! Another wonderful and inspirational idea, I am loving your website – thank you. This is such perfect timing, I have to do these on Friday anyway and now this will be my chosen recipe, fudge chunks are the way forward! What a lovely idea, and the labels and tags are a great finishing touch. Was planning on doing something like this – look great & many thanks for the instruction labels saving me a job! What a lovely idea and nicely presented the perfect ‘fresh’ present! Now off to find some jars worthy of these delicious sounding cookies. May have to ask my daughter to make one of these as a gift for me!! Can’t wait to get baking! Great idea! I already have passion fruit curd, arancello and truffles on my list of homemade foodie gifts for this year and these will be a fantastic addition! A unique idea..one of those money can’t buy ones! Fantastic idea, will be doing 4 for my grandsons. These jars are a lovely gift idea, I’ll defintely be putting a few together to go into my Christmas gift hampers. These sound like a great idea. Love these as gifts – have made a few for childrens’ friends. A perfect present, they look so professional. Love this idea,it has so many possibilities. Know what i will be making for christmas presents. What a lovely idea, would love to receive one! Love this, what an amazing idea. I think the fudge would go missing before it was time to put it in the jar though! They look fab. I would be really pleased if someone gave me one of these! lovely idea and the tags look so pretty. This is one of these great ideas. So simple and I think everyone will love them. A definite must ! My friends are all getting these for Christmas! Thanks Ruth for such a fantastic idea! Delicious, but maybe too tempting to eat rather than give away!! What a great idea. Perfect for secret Santa too! What a lovely idea!! Also great to see a business being promoted from my home town of Manchester!! !Fab prizes!!!! Oh Fudge! What a fantastic idea! Wow what a fantastic gift idea. 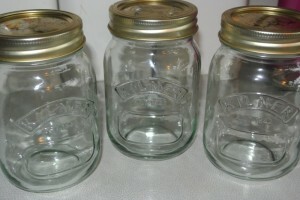 What size are the jars approx may I ask? Whoops, just re-read it! Sorry! Amazing, what a fabulous gift idea!!! How cute and they seem so simple to make as well. I can’t believe how much some places charge for these. I love this idea, I am a crafter as well as a baking fan so I get to combine my 2 great hobbies and give great gifts at the same time. This is such a splendid idea. What about the other ingredients needed to actually make the cookies? Or have I stupidly missed that bit? New inspiration every day!! Think my friends & family will love their pressies this year and I’ll save a fortune! Lovely to give and to receive.The gorgeous tags add that extra special finishing touch.Thanks Ruth for sharing another super idea. Ooooh, I received a commercial version of one of these once, and it was great fun. This is such a great idea for a gift! Yum yum, great idea, they look great before they’re made and I’m sure they taste great where they’re done too! They are selling something similar in our office canteen for £7.95 a jar! I make these for brownies (in 2 jars) and give them as a gift with the Brownie tin too- Lovely! What a fabulous idea! One of my favourite restaurants in Belgrade serves puddings in jars. The jaffa cake one was layers of chocolate and orange. Mmmmm! Such a beautiful and unique idea for a present. I know exactly who I’m going to make these for! I haven’t started my Christmas shopping yet, this is fab! You’ve just solved my problem of what to buy all the teachers! Great ide and chance to go all out festively in terms of decor/packaging and ingredients. A friend is a mum of two children and enjoys doing various activities with them. A cookie jar would be an ideal present for the three of them to do and also enjoy. This is such an excellent gift, especially for friends who don’t tend to bake often so don’t keep ingredients in the cupboard usually. Wow, now they are really original. Kind of wish you weren’t so inventive because my baking to do list is getting kind of big now! Mine always look ‘rustic’ but the fab labels will turn me into a pro this year (fingers crossed)! Beautiful, what a good idea! Loving this Fab idea…simple with style. will definitely give these out. I love this idea – people are always saying they want my (actually, your) recipes all the time – now they can DIY! Going to try these on the weekend and will let you know!!! I have the perferct people in mind who would love these as xmas presents!! Have just been out to buy the chocolate chips and fudge, and have printed off the instruction labels – now for some fun making these. 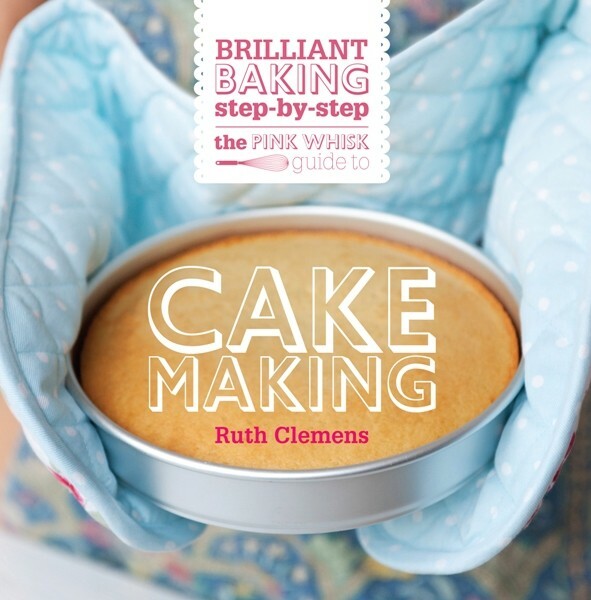 What a great idea, Pink Whisk! What a brilliant idea – how clever you are – that’s my niece and nephew sorted – A great idea for them to take back to uni!!!! Great present idea and fab easy cookie recipe, will definitely try this one! I was looking for a new “in an jar” recipe for my Christmas hampers!!!! Thank you!!!! What a wonderful idea …fun to make and fun to receive! 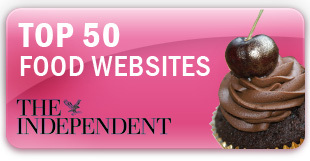 You have really inspired me with this site – you have never failed to impress my taste buds! Thank you! Fantastic idea, and I just saw one of the above comments about Jars from Tesco for £1.50 – I’m off to get some now! Such a lovely gift – it makes me want to make them over and over but just not sure I know enough people to give them out too!!! Beautiful, I love things like these and even sell them myself! I absolutely LOVE this idea. So fantastic to see it all brought together like this. Thank you- with 14 teachers/ta’s we’d like to give a present to, this is great for the girls to set up an assembly line ! I’ll check IKEA for a cheap jar alternative, if not we did a couple of ‘practice runs’ last night using the cheapest pickled onion/beetroot jars (dishwashered)at around 36p – the girls loved making them and we cooked one lot (white/milk choc chip) tonight -DELICIOUS ! 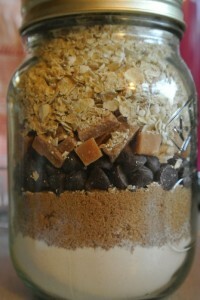 Got a mix of ‘choc chip & hazlenut’ now ready in jar for tomorrow. This is such a brilliant idea. How do you come up with this!? Great idea, I will be making these, and the sleigh, plus I have just iced your Christmas tree stars cake, thank you for all the easy to follow recipes with handy tips pink whisk! Such a brilliant gift idea and so simple too – love the little tags too! That is Saturdays job, start making these for gifts. Thank you Ruth, I had an idea to do this for my nieces this year and have been looking for a recipe to ‘put in a jar’ but you, as usual, have come to my rescue! Thank you, thank you, thank you!!! Done my hampers for this year but these will definitely go in next years. Great idea! So pretty. Amazing present idea, I love to give homemade presents it seems so much more special! Thanks! Will defiantly try this one! I saw these at a local market starting at £5-6 each! I’m fairly sure they were smaller too. Wow this is a great idea! Perfect for my younger cousin i had no idea what to get for christmas!! Homemade gifts like these warm the heart of the baker and the receiver. Thank you for sharing such wonderful things with us. What instructions wud u add? What temp how long and what’s the wet ingredient u add to bind it?? This is a fab idea. My friend gives hampers of home made goodies for Christmas presents, and this would be a great addition. My children made some if these today, I have three floury boys!! Lovely and so easy. I might have a go at these with my Brownie pack next year. We made snowman soup this year! This is one of the cutest DIY baking xmas gifts i have ever seen. Such a wonderful gift idea. Based on everyone’s comments there are lots of variations to try. Can’t wait to give these a go! Thanks so much Ruth! 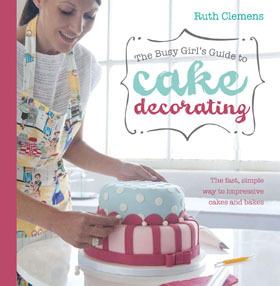 I bought the items for this at the weekend as they are going to make perfect Christmas presents for budding young bakers! A fabulous idea for gifts….personal but cheap to make too…planning to make some this week. What a great idea. This is a definite pressie for a great sister. What a great idea and lovely present! Everyone i know is getting these this year!!!! 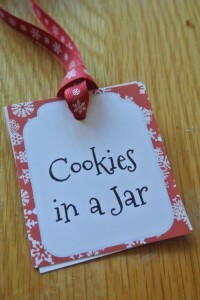 I’ve been looking for a great recipe for cookies in a jar so that I can give them out to my friends for Christmas. I’ll definitely be doing these. I have been searching for a UK recipe for ages. Thank you!!!! such a clever idea, they look too cute! These are a fab idea, great for the kids to make and their friends to receive! I completely love these and have been out to buy the kilner jars and chocolate bits ready. Am desperate to share your idea with lots of friends, but can’t until after Christmas, as this is what they are all going to get!!! I love these, I’ve made some white chocolate and cranberry versions to go in christmas hampers making to give as gifts 🙂 I’m a little obsessed with jars at the moment – I just think they’re so cute! These are brilliant as an inexpensive end-of-term gift for teacher with a label hand-made by pupil. Should sell well at the school fete too. My cousin did one of these for me last Christmas, fantastic idea. Lovely idea, think I might make these for my colleagues – a different flavour for each of them. 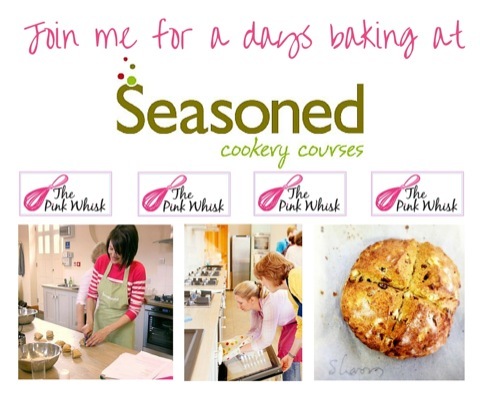 Fabulous gift – need to quit work to make time to try out all these recipes! This is an excellent gift idea. These are on my to do list for the weekend. More christmas presents that will be home made. Thank you Ruth. I love this as a great Xmas gift. Deffo sending some out! A simple gift idea, ideal for the Christmas fair. Great idea for a gift! I think even my very kitchen-adverse sister might be persuaded to make cookies if she was given all the right ingredients. They look so Christmassy too. 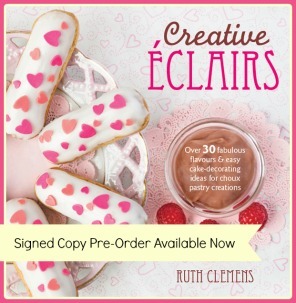 I just love love love this idea – thanks Ruth! I’m going to make these for teachers presents! I got something like this one year. Your look really beautiful though – I think it’s the labels that really make it. We can’t afford Christmas presents for a lot of our friends this year, but this looks like a cheap way to say that they’re in our thoughts. What a fun & original present idea: I’m going to have a go @ these this year. perfect reasonably priced gift, great for putting together a few for unexpected guests. I’ve only just got round to reading this post. A great gift idea and lovely stickers and tags to go with it. Bookmarking it now! A really excellent idea, and always so beautiful. Thanks, Ruth! I’ll definitely be adding these to my secret santa gift! Ruth, these are just splendid! Perfect for my boyfriend’s little brother who I might have accidentally got into baking… Teehee! Thank you Ruth for inspiring me to finally have a go making these. Post now up on my blog. I’ve been making cookie jar kits since about 2009, first as Christmas gifts for girlfriends and then as ‘end of year’ thank yous for my son’s teachers. Its now a tradition and a challenge for me to come up with a new recipe each year! This year its going to be white chocolate and dried raspberries. PS love trying out your other recipes! Now back to making the flapjacks for sunny days on the beach!…. 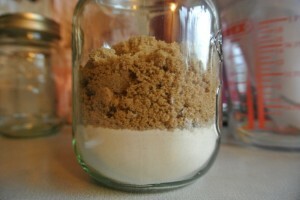 All the instructions for making the cookies and baking are on the printable label if you have a look there. Have just made a couple of these to say thanks to some work friends, they look amazing and I can’t wait to try them myself! Hi, I love handmade gifts and these are just perfect. Can I ask how far in advance they can be made and will stag fresh for? Amazing idea! Thank you for sharing! Just wondered how far in advance people would make these? They shouldn’t go off or go funny should they? Hi, loving these and also the fact the measurements are in good old english and not cups! If I wanted to use 1 litre jars is it just a case of doubling the recipe or do I stick with the stated amount of baking powder, etc? I’ve just stumbled across this recipe and will definitely be making some for my son and his friends as gifts. I’ve used the link for the labels but I can’t seem to find them do you know if they’ve stopped making them? Ignore my last comment I found them, DOH!